The Lakes Distillery is the largest whiskey distillery in England, manufacturing spirits and liqueurs from it’s award-winning distillery in Braithwaite Cumbria. An award-winning spirit distillery and purveyor, the company prides itself on quality, using only the finest ingredients to produce their spirit and liqueur offerings. 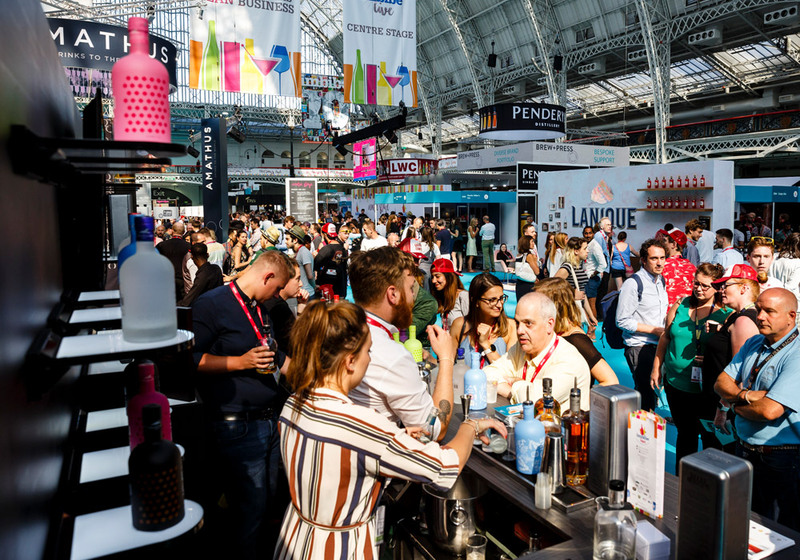 Guerilla came on board to design and build the Lakes Distillery exhibition stand at IMBIBE Live, the UK’s leading on-trade licensed drinks expo. 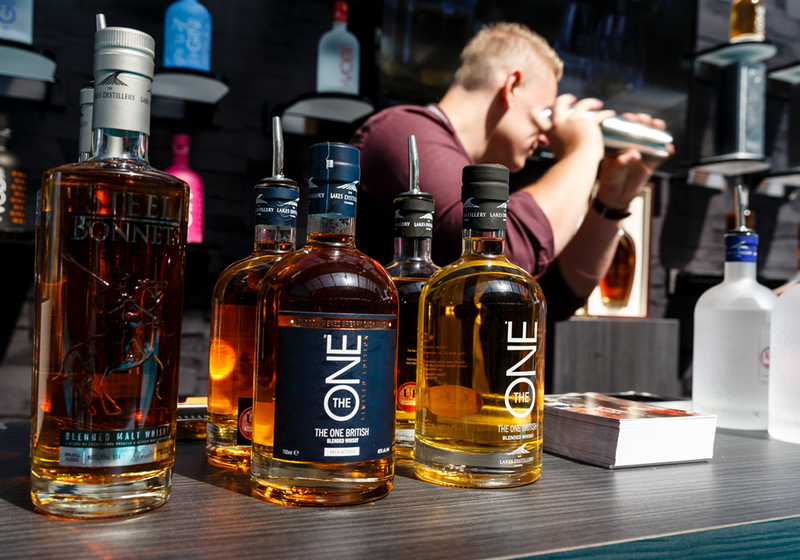 Founded in 2011, the Lakes Distillery is relatively new to a well-established and booming market. The dream is to create a world-class whiskey distillery and the company needed to reflect this in their on-trade exposure. The company had booked prime stand position on the main thoroughfare, next to the likes of Jack Daniels. As such, the brief was to position the company as a major player, conveying the company’s care for high-quality, whilst paying homage to the distillery site in the Lake District, a key USP for the brand. 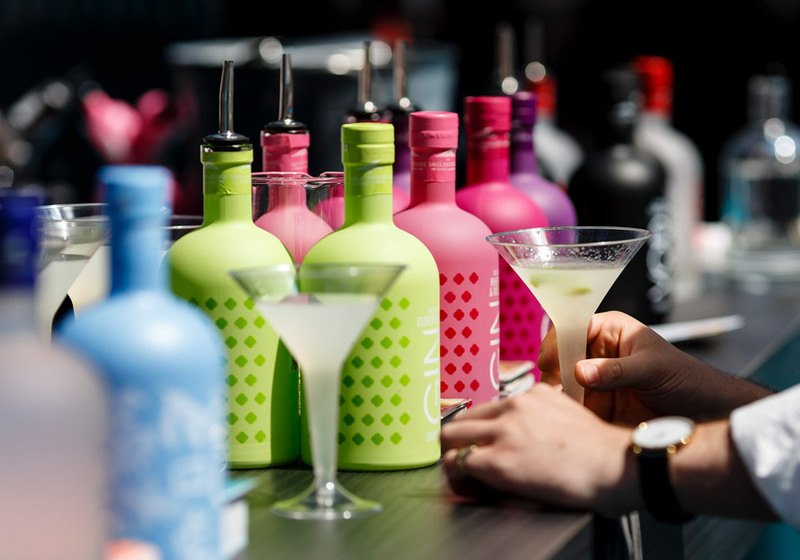 The real challenge here was for the stand design to lend itself to both the bright, colourful and ‘fun’ style of the vodka, gin and liqueur ranges, as well as the high-end, sophisticated whiskey offering. 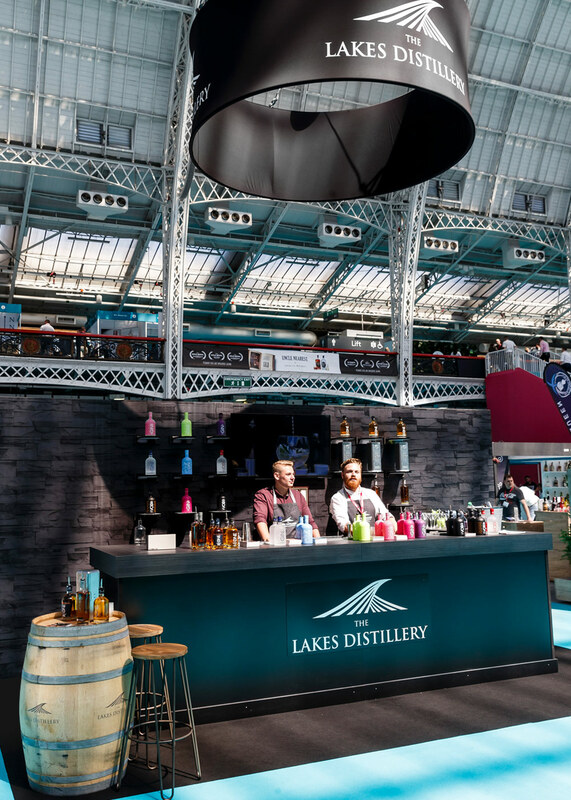 Guerilla worked closely with the Lakes Distillery Sales & Marketing team to understand the contrasting brief and glean what parts of the distillery to bring to life on the stand. The final design incorporated the slate and wood themes from the distillery and surrounding areas of the Lake District onto the stand. The dark tones and rich textures created a sleek and sophisticated stand; with the dark greys complimenting both of the company’s brand styles. As well as a fully bespoke working bar, Guerilla commissioned bespoke up-lit shelves for the products to draw attention against the dark backdrop. To really bring the distillery to the stand, Guerilla sourced and restored an authentic whiskey barrel, branded up with the company’s logo; the wood standing out against the slate backdrop.